A boarded-up and fenced-off building, owned by the Los Rios Community College District, sits at the corner of Tribute Road and Exposition Avenue. It has been owned by the district since 2012 and was originally considered to replace the Workforce and Economic Development Center according to the California Assessor. Gabe Ross, Associate Vice Chancellor, and Communications and Media Relations for LRCCD, was not involved in the decisions regarding the building, but spoke on behalf of the Board of Trustees about their decisions. The estimated cost of renovation prevented the district from constructing any further on the property, according to Ross. 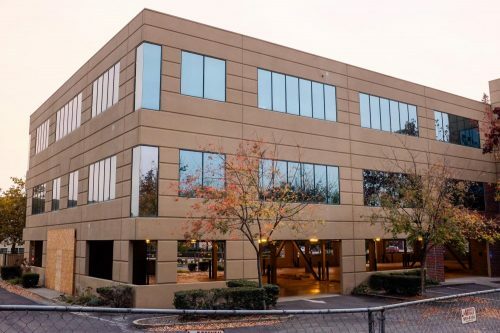 Since the decision to renovate the current Workforce and Economic Development Center on Ethan Way, various law enforcement agencies including the Sacramento Police Department, Sacramento Sheriff’s Department, Citrus Heights Police Department, Folsom Police Department and California Highway Patrol have used the building’s parking lot for free for training exercises, at no cost to LRCCD, according to Ross. The decision to allow the law enforcement agencies to use the lot was predicated on the basis that their presence would prevent vandalism of the property, according to Ross. 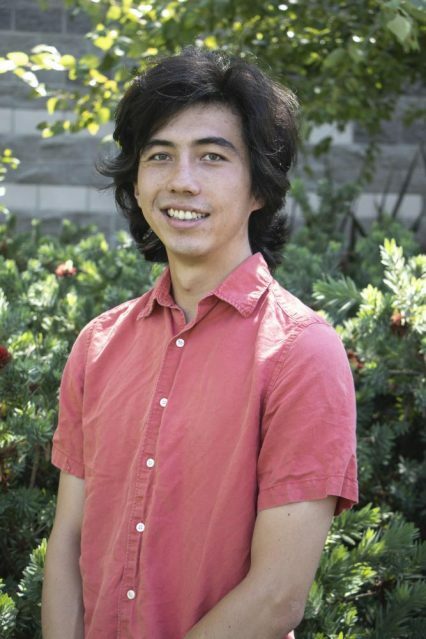 The cost of bringing the commercial building up to the California Division of the State Architect’s standards is what prevented LRCCD from renovating the building for student use, according to Ross. Mario Rodriguez, Associate Vice Chancellor of Finance for LRCCD, is involved in the financial decisions of the Los Rios district. He wasn’t directly involved in the decisions to purchase the building however has knowledge of the processes which the district uses when purchasing facilities. The Board of Trustees determines the way resources are used by the district based on a facilities master plan that is drafted every eight to 10 years. The last facilities master plan was written in 2008 and the board will be writing the new plan soon, according to Rodriguez. The Los Rios Board of Trustees determined that rather than bringing the Tribute Road building up to code, to instead remodel the current Workforce and Economic Development Center building, according to Ross. After the decision was made to renovate the current Workforce and Economic Development Center, the Board of Trustees made the decision to keep the building for different purposes in the future, according to Ross. Building codes for facilities, which are used directly by students, are more costly for the district compared to codes regarding administrative functions. Because the building codes are more lenient with administrative functions as opposed to direct student access, the district is free to use building for a variety of options that still benefit students. One option, noted by Ross, is to use the facility to expand the district’s online resources by creating more office space for administrators who work on the online facilities offered by Los Rios. “There’s not a final plan, we want to be really knowledgeable and make sure we’re making the right decision with any asset of the district,” Ross said. In 2000, the School Facilities Local Vote Act, also referred to as Proposition 39, allowed for the use of bonds by school districts for “repair, construction or replacement of school facilities,” if the projects are approved through a local vote. The projects proposed in Measure M for district wide improvements are to modernize or replace the Workforce and Economic Development Center and to expand the District Office. Rodriguez explains that any decisions made by the LRCCD about purchases of facilities must go through the accrediting body and the State Legislator. The purpose of these checks is to ensure that anything built by the district goes through the Board of Trustees and its constituents and is consistent with their goals. The building on Tribute Road went through these checks and was approved for purchase through the Measure M funds as a Workforce and Economic Development Center building. 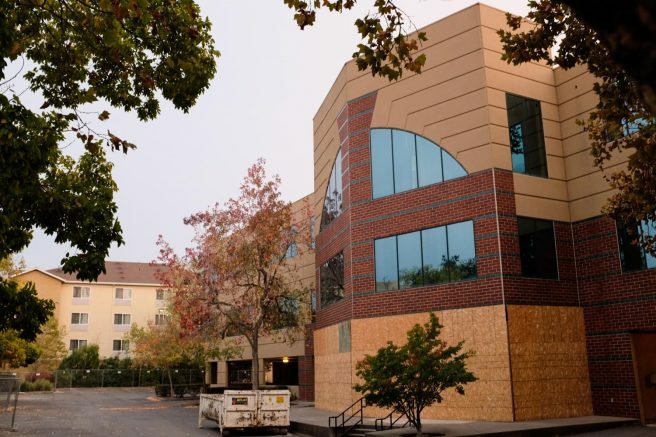 Since the decision to improve the current center on Ethan Way, the board has since decided to use the building to “Modernize and Expand the District Office and Make Infrastructure Improvements,” in accordance with the project lists proposed on Measure M.
“The theory is that anything you build should be laid out in your facilities master plan,” Rodriguez said. The facilities master plan is a formal plan of action made by each college in the Los Rios district and is informed directly by the educational master plan which is formed by the district according to the educational needs of its students. Be the first to comment on "Building left unused by district since 2012"